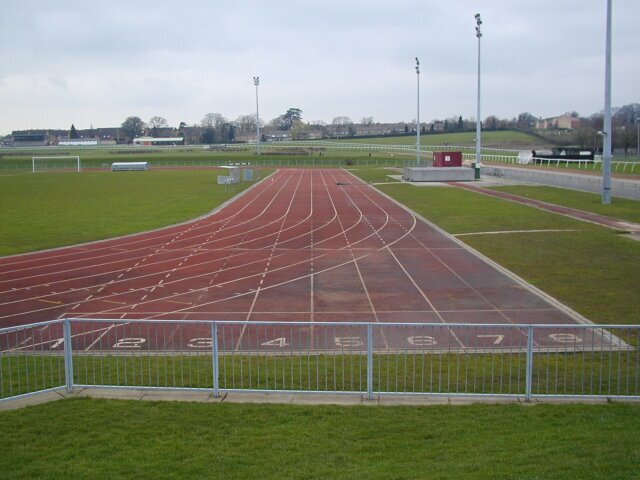 The track was built in 1987 and has a Spurtan BS surface. It is now quite worn but still usable. The runways behind the small stand are liable to flooding. The track is inside Hereford Racecourse and next to Hereford Leisure Centre which opened on 4th September 1985. It is not shown on OS Explorer map 189 but is on map 202.